Sometimes life throws you a curveball and your finances take a hit, forcing you to figure out how to live on a tight budget. Maybe someone in your household becomes seriously ill or you lose your job. Maybe nothing catastrophic happened but you’ve realized you really need to pay off your debt. Whatever the reason, you have to learn how to spend your money wisely when things get tough. It won’t be easy at first but if you approach it with the right mindset and appropriate strategies, you can reduce your spending and still live a good life. You may find you have even more fun than you did before when you’re forced to get creative. If you know you need to do a better job of budgeting, you’ve come to the right place. We’ll take you through the basics of budgeting then give you a comprehensive guide to help you over the next 12 months. The idea of creating a budget can be very overwhelming if you’ve never done it before. It can be daunting to come face to face with exactly what you’re earning and spending. However, it is important to confront reality if you want to get a better grip on your finances. Developing a budget helps you to get out of debt, reduce expenses and build wealth in the long-term. The pain and discomfort are only temporary! Good to Know: When you break down your expenses by category, you figure out what you can really afford to spend and invest regularly. You don’t have to do all this manually. Pro Tip: Tools like Status Money help you to monitor your budget, compare yourself to others in a similar income bracket, and find attractive deals. Let’s go through the steps to budget creation. You may have investment accounts, savings and checking accounts and other financial instruments. If so, you should ascertain how much is in each account, how much interest each pays, and what costs are associated with them. This information is essential in determining your net worth and allocating your funds appropriately. If you make a set salary each month and have limited investment income, this is easy to calculate. However, people who are self-employed or who have varied sources of income may find it more difficult. In either case, the most important thing to do is work out your average monthly income. You can calculate this based on your income over six or 12 months. Pro Tip: Another option is to work based on the lowest amount you made in a month. This allows you to plan the most conservative budget based on a worst-case scenario. The next thing you need to do is to add up the debt payments you have to make each month. These will likely include student loans, car loans, mortgages and credit card debt. Good to Know: Calculate how much you owe on each account and pay attention to the interest rates. This should be pretty easy to do. Pro Tip: One of the first things you will need to do is get rid of high-interest debt. When you know exactly how much money you really have and the extent to which you are indebted, you can determine your net worth. Subtract what you owe from what you have saved in your various accounts. This number indicates the value of your financial resources. For many people, it will be a negative number. This is especially the case for young people who are now starting out but are already burdened with student loans. Unlike loan payments which are easy to identify, it can be difficult for some people to determine their monthly expenses. The best way to do this is to keep all your receipts and utility bills for one month. Divide them into categories like entertainment, food, transportation, and utilities or whatever is applicable to you. You will then need to work out the average amount you spent in each category. If you’re old school or your finances are very simple, you may want to use a paper ledger. However, most people will want to use the computer. You can use a program like Microsoft Excel or tools like Mint or PocketSmith. Pro Tip: Be sure to diligently record your expenses on a weekly basis so you’re not caught off-guard at the end of the month. It should only take an hour or so each week. After you go through the above, you will find out whether you are living within your means or not. If you were already underspending, you shouldn’t have to worry excessively about how to live on a tight budget for a while. However, if you’ve been racking up credit card debt and missing bill payments, you will have to cut back drastically and find the cheapest way to live. You will have to cut some of your recurring expenses and pretty much eliminate impulse buying and non-essential items. Pro Tip: Reducing food waste and the purchase of disposable items is a good place to start. You can also look for cheaper options for internet and cell phone plans. There are certain events and activities which occur every month and require a financial outlay. There are also times when you can predict you’ll get some extra income. You will need to try to put away something for a rainy day. What follows is a guide for the next 12 months. You can adapt it to your personal needs and those of your household. Even if spring is not yet in the air where you live, it’s probably on your mind. 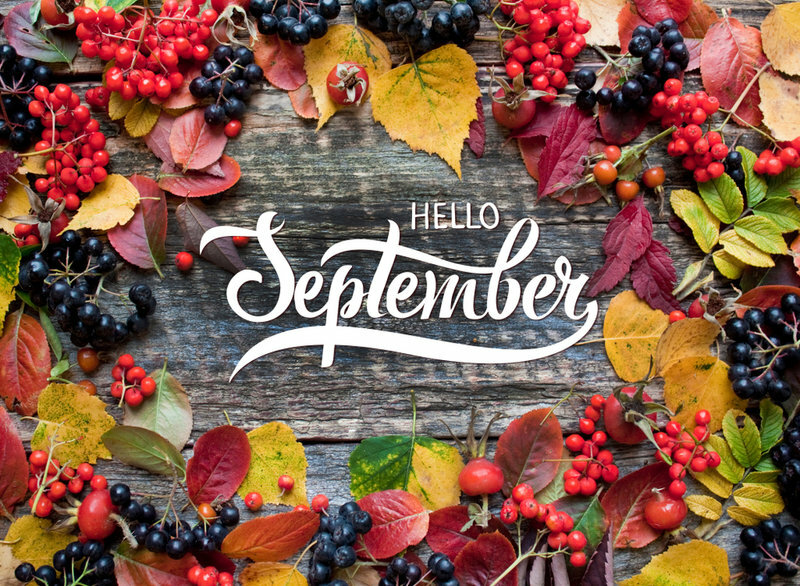 Don’t just think about a fresh season, but a fresh start for your finances. Here are some of the things you may want to budget for. Your car probably took a pounding from rain and snow during winter. Use this month to get it cleaned up and checked. You may need new tires, an oil change or new brakes. Keeping your vehicle in tip-top shape helps you to keep future repair expenses down. When you’re planning how to live on a tight budget, you need to include preventative maintenance. If you work in an office, you’ll need to keep this one in mind. Administrative Professional’s Day falls on April 27. You may need to contribute towards a gift for a work colleague or a department lunch. Maybe you’re hosting your relatives for this year’s Easter meal or you have to take a dish over to a friend’s home. Put this in the budget since you will have to purchase more groceries than you normally do. Resist the urge to overspend just so you can impress. It’s perfectly alright to make cheaper alternatives to traditional Easter meals. Pro Tip: Use cashback apps like Ibotta, Drop, and Shopkick to earn rewards from your purchases and save even more. If you want to get some new items for the home, you can still get them even when you’re focused on budget living. You just need to plan ahead, set yourself a strict budget and head to garage or estate sales to see what they have to offer. The flowers which begin to spring up during April create the perfect backdrop for family photos. If you want a photo session, research the different packages photographers have to offer to find the best value. Good Tip: Consider seeking the services of an up and coming photographer or a student who may be offering discounted photoshoots. April is a great time to begin saving for summer vacation. Even if you can’t afford to travel internationally, find out the cost of a stay in a nearby state or town and save accordingly. Remember to include the cost of getting to your vacation spot and paying for meals. Something to Consider: Get an Airbnb or another vacation rental instead of a hotel to save money, especially if you have a big family. With the days starting to get warmer, you’ll probably be planning to get out of the house and explore your city or town. Look for free activities where possible but if there’s a paid event you must attend, plan ahead so you can put the money aside. 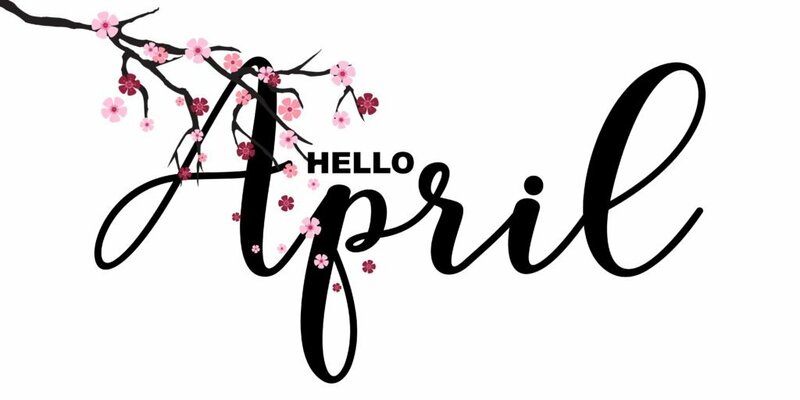 Filing your taxes may actually be the first thing that comes to mind when you think of April. While tax preparation can be frustrating, it is necessary. Since you’re looking for ways to save money, make sure you know all the deductions for which you’re eligible. Bonus Tip: If your tax situation is complicated, you may need to find money in your budget to pay a professional. They can help you to save a lot in the long run. April is also time to prep for camping. When you’re on a tight budget, you need to ensure you account for all the things you will need. Along with hiking gear, tents, snacks and bug spray, you also need to think about the costs associated with the campground. If it is safe to do so, you may just want to rough it in the woods. However, a campground with showers and electricity will cost more. It’ll definitely seem more like Spring in May so outdoor activities will pick up. You need to very organized to ensure you keep your spending under control. Here are some of the things you need to pay for this month. Even if you don’t have kids who are graduating, you may have nephews or nieces. 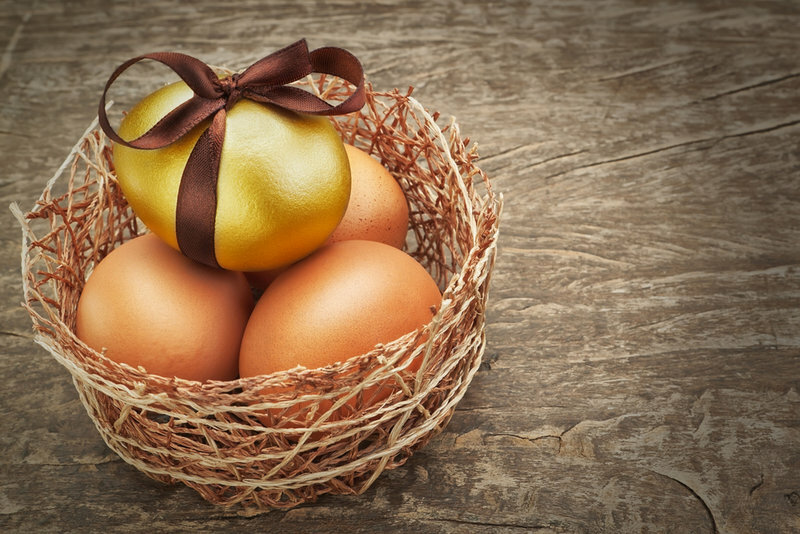 You may have to purchase a few congratulatory gifts, but they don’t need to be extravagant. Books and homemade items are perfectly acceptable. It’s the day families and friends get together in the backyard or by the pool. If you’re hosting, determine what you can afford to provide and ask your attendees to each bring a dish. The more assistance you can get, the easier it will be to host without breaking the bank. For the things you still need to provide, make room in the budget. If you have children, you may be planning to enroll them in a summer camp or get them involved in a summer sport. Start budgeting for the expenses before the schools let out. You may need to make a deposit for camp or buy new sporting gear. Be sure to add a line in your budget for this. You may want to plan a day or even a weekend of activities for your mom. Budget for lunch, gifts or fun experiences which your mother is sure to enjoy. Make sure you find ways to show your appreciation without over-extending yourself. You probably won’t need a lot of new clothing for yourself, but your children have likely grown over the last year. If so, you will need some room in the budget for shorts, flip flops and tank tops. Head to budget stores or flea markets to stock up without spending too much. You can also find more creative ways to save money on clothes. If you weren’t able to start saving for your vacation in April, you can still do it. Find a low-cost holiday option and calculate how much you would need to put aside from each paycheck to afford it. Do not give in to the temptation to borrow money or put a trip on your credit card. Most pools won’t open until around Memorial Day, but you’ll likely have to pay the membership fee in advance. If you want to be able to start your days with a swim or hang out by the pool on the weekend, you need to budget for this. Start setting aside money in May and make room in the budget during the warm months ahead. May and June are popular months for weddings and you’ve probably been invited to a few. This means you may need to pay for clothes, gifts and maybe even travel. If your budget is really tight, you may not be able to attend ceremonies which are far away. Try to find clever ways to either save more money or make more money so you can attend as many as possible. Making a budget helps you to be well-prepared for summer events. You’ll find it much easier to relax on a beach when you know all your expenses are covered. Consider the following when you create your budget for this month. If you don’t have the time to cut your lawn or get rid of weeds, you will need someone to do it for you. Consider hiring a teenaged neighbor instead of engaging a company. You’ll save some money and the teen will get some cash for summer. You’ll probably want to show appreciation to your dad or another father figure in your life. Whether you want to purchase a gift, take dad out for lunch, or take him to a ball game, you’ll likely need some money. Father’s Day is always the third Sunday of the month so you can begin planning early. The long days of summer are perfect for reading. Set aside some money to purchase books – either hard copies or digital versions – for your entire family. Purchase second-hand copies if this is more feasible. Bonus Tip: If you find there is simply no room in your budget for books, head to the local library. When the temperatures begin to rise, so will your energy costs since you’ll be running your air conditioning a lot. Think back to what you paid for air conditioning last summer and include it in your budget this year. Be sure to practice energy efficiency by using the air conditioning only when you need it and using it at the optimum settings. If your children have not yet learned to swim, you may want to get them started during the summer. Find out how much classes cost early in the month so you can allocate the money. You’ll want the kids to be comfortable in the water when you go on vacation. 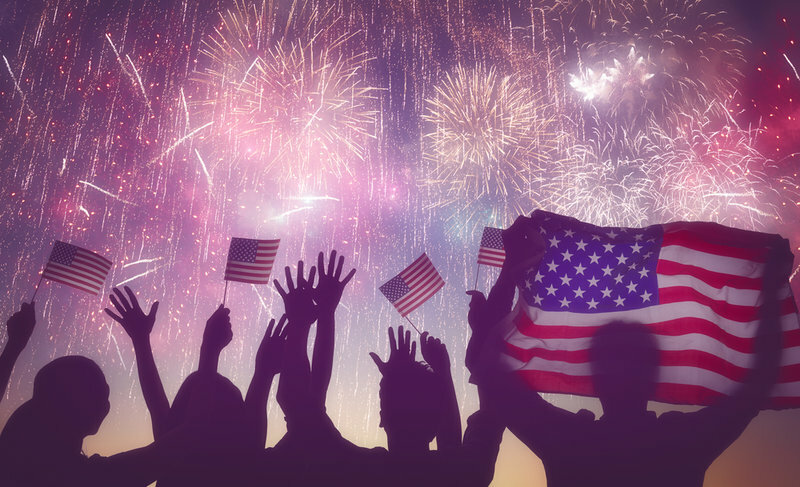 As you know, the first week of July is filled with picnics, fireworks and lots of fun. It shouldn’t cost too much but you will still have to spend a little on food, party supplies, and fireworks. 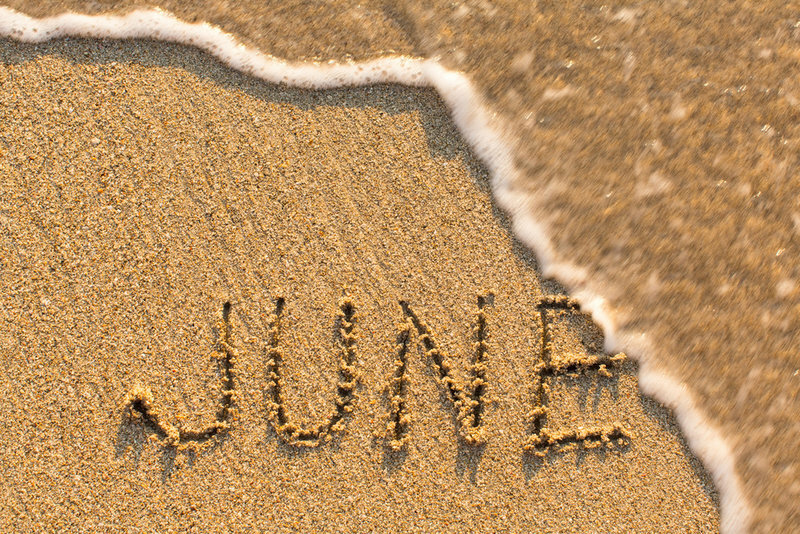 Save a small amount of cash in June so you can have some fun the next month. Pro Tip: Head to the dollar store for affordable glow sticks and other party supplies. 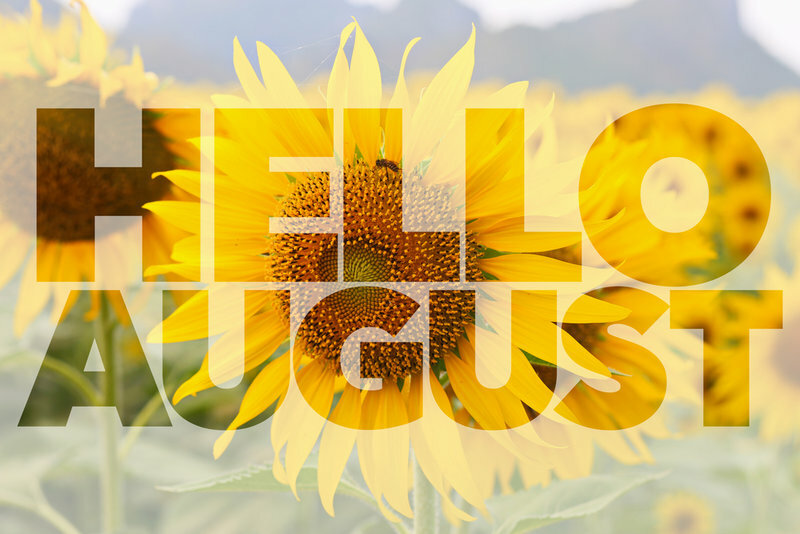 There a lot happening in July including outdoor activities and summer trips. Here are some of the expenses you need to plan for. High-quality, environmentally friendly sunscreen doesn’t come cheap. Since you will need to slather it on frequently and liberally to protect your skin, you should budget for it. This is especially important if you have a large family and you’ll all be spending lots of time at the beach. If you can’t take your furry friends on vacation with you, you will have to pay someone to take care of them. Asking a friend or relative to watch them will be cheaper than taking them to a kennel. Your water bill is likely to increase in the warmer months. You will have to water your lawn and garden, wash your car, and maybe fill up the kiddie pool. Be sure to budget for these increased costs. It’s not too early to begin planning for back-to-school. Even though the kids are still enjoying the summer holiday, you need to get serious and start your fund now. That, way you can gradually build up the cash you will need for clothing, shoes, and school supplies. Bonus Tip: If your kids are old enough, encourage them to do small jobs so they can earn some extra cash. You probably have a summer bucket list for your family. You may want to visit an amusement park, attend a festival, or host a big cookout. Be sure to list the costs associated with each of these and determine how you can keep them to a minimum. By now you should have a better idea of how to live on a tight budget so reducing costs shouldn’t be too difficult. The bugs are out in their numbers just like the people. If you don’t want to get overrun by ants or mosquitoes, you should schedule an appointment with the exterminator. Call around to get some quotes before you decide on who to hire. Summer’s soon over and it’s time for school again so back-to-school costs will dominate parents’ spending this month. If you don’t have children, you may be focused on soaking up what’s left of summer and preparing for the next season. Here’s what you’ll need to focus on. Seek out sales wherever possible and don’t be afraid to purchase gently used textbooks. If you also need to get a laptop or tablet, consider refurbished equipment so you don’t have to spend a fortune. Your kids may have outgrown everything over the summer holidays. That means it’s time to get new clothes which fit well and which are appropriate for Fall’s cooler months. Look for discounted sweaters, scarves and beanies and pieces which can be easily layered. Pro Tip: Don’t splurge on a complete wardrobe at this stage. Simply buy enough to get you started and spread the rest of your spending throughout the year. As the new school year begins, you may want to show some early appreciation for a teacher or two. Look for something cute and thoughtful, rather than expensive. A mug, candy or pencil box with treats will be within budget but much appreciated. If you don’t have children to get ready for school, you may just want to relax a little. You may eat out, attend parties or even plan a weekend getaway. Make space in your budget for a little fun and food. It’s time to cash in some deals but only if really need something. Don’t let discounts make you stray from your plan to spend your money wisely. However, if you really need furniture or clothing, this is a good time to hit up the clearance sales. That’s right! You should get a jumpstart on Christmas shopping especially if you don’t have to purchase back-to-school items. Start putting small sums away for presents, decorations and holiday outings. Trust us. You won’t regret it. As fall begins to arrive, the temperatures are cooling down. However, the attention you pay to your budget shouldn’t wane. There are some expenses you will likely need to consider this month. Give your yard a spruce-up now so it will flourish next summer. Focus on reseeding your lawn in early September so the seeds have time to germinate while it is still warm. If you need lawn equipment, now is the time to get it on sale. Mowers and rakes will be discounted this month to make way for holiday décor. Living life cheap means taking advantage of sale periods. There are many fun things you can do during this annual three-day weekend and most of them cost money. 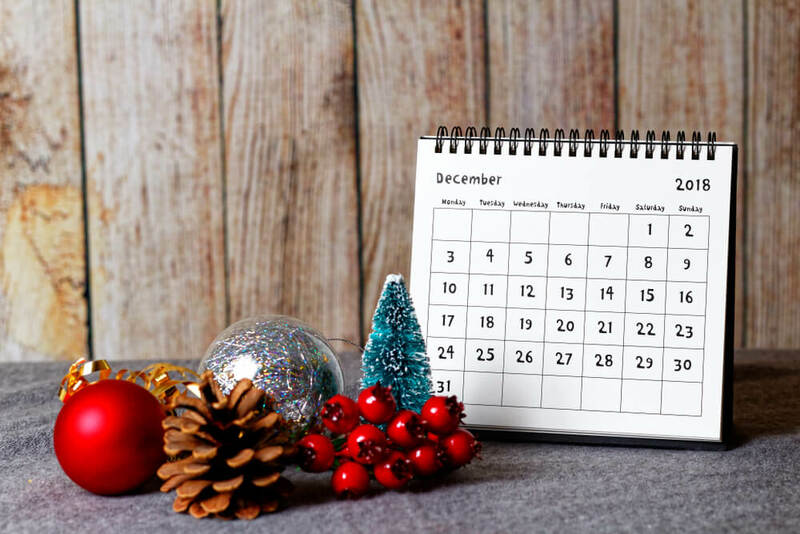 It’s not a big holiday like Christmas but you may still have parties, cookouts, and other events to attend. You may even want to leave town for a short time. Be sure to budget for these activities. Halloween comes at the end of October but if you don’t plan ahead, it can creep up on you. Americans spend almost $90 on spooky festivities so you need to put this in your budget. Begin putting aside cash for costumes for your family, decorations for your home and candy for trick-or-treaters. Even if you plan to buy materials and make your own costumes, you should begin now so you have enough time. It’s best to start thinking about what you will need for cooler weather now. Avoid shopping just for the sake of shopping and focus on necessities. If you put aside the money in September, all you need to do is wait for a sale to get the warm boots or hats you need. Many people prefer the cooler days of fall to the blazing heat of summer. You may want to go apple-picking, camping or even hiking. Since you will need money for this, include it in the monthly budget. You should’ve already prepped for Halloween if you’re following this guide but that doesn’t mean you can slack off in October. Sticking to your budget throughout the year is key. 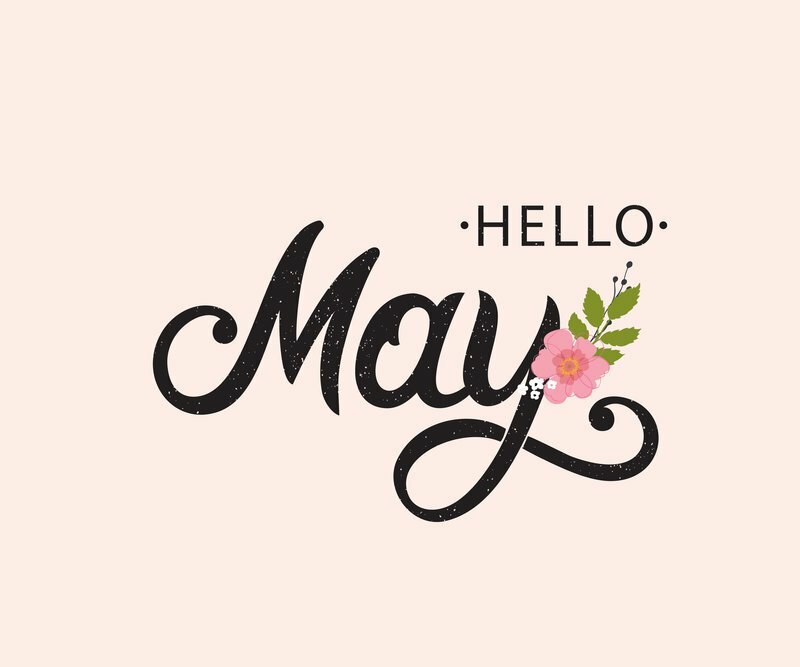 Here are some of the other things to think about this month. Christmas and Thanksgiving will be here before you know it. Like many people, you may want to go see your family. Or maybe, the entire gang is coming to see you and you need to get your home ready. Whatever the situation, you need to begin planning for airfare, gasoline, food, accommodation or renovations to the guest room. If you begin to prepare now, you can save over a longer period of time. If you know you love pumpkin spice everything, candy corn, and squash entrees, let yourself indulge. 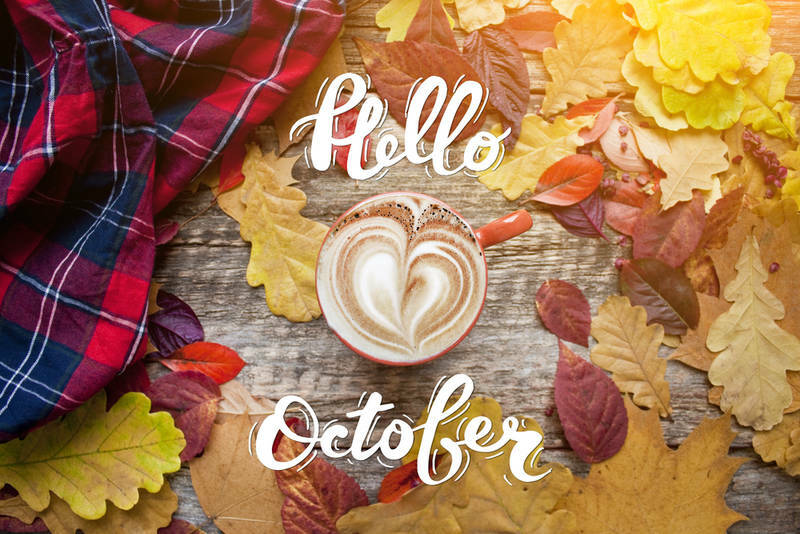 Budget for the lattes and other seasonal treats in October and you won’t feel left out when everyone else is enjoying their food. Retailers advertise jeans like crazy in August and September to target the back-to-school crowd. However, you actually get the best deals in October. By then, everyone has jumped on the bandwagon and bought clothing at the original price. When sales begin to cool off, stores drop the prices and you get to cash in. If you want a professional fall-themed family photoshoot, you need to budget for it. Gather the kids (and the pets if you wish) and capture some memories amid the falling orange and yellow leaves. Just make sure you don’t compromise your finances for a few photos. November is, of course, the month of Thanksgiving and Christmas is just around the corner. This means you have may have to do a fair amount of shopping. Hopefully, you’ve been planning all year long and budgeting is now a lot easier. Here are some of the things to plan for in November. Who doesn’t love a Thanksgiving feast? If it’s your turn to play host, you’ll need a turkey, potatoes, a range of pies and green beans. However, don’t think you have to provide it all. That takes lots of time and money. Instead, determine what you can afford and all your guests to bring a dish, so you still get a full spread. There are several deals in stores and online in November. What used to be one day of sales has evolved into a week-long shopping extravaganza. If you’ve learned anything about how to live on a tight budget, you know not to get carried away by discounts. However, if there are specific items you need and you’ve planned your purchases well, you can still enjoy a little retail therapy. Set a spending limit and stick to it. It’s time to take your winter clothing out of storage and determine if you will need any new pieces. Budget for your basics now and be sure to sign up for email offers from your favorite stores. Part of budget living is getting early notice about sales and potential discounts. Need a new casserole dish or some cake pans? November is a great month to get them so you should add this to the budget now. Shop around to find the very best deals among all the sales. If you’ve been following our guide, you may have started your planning in October. Even if it’s too late to travel for Thanksgiving now, maybe you can find room in your budget for a Christmas or New Year trip. You don’t even have to get on a plane. Maybe you can budget for extra gasoline and a night or two in an Airbnb. Think about how special you feel when you get a thoughtful Christmas card. If you want your loved ones to feel the same way, spread some joy by mailing some cards. Budget for the cards and stamps in November so you can include all your favorite people. Many people rely on help from others to get them through the holidays. Even though you’re looking for the cheapest way to live, you may still want to offer some assistance to other people. When you’re planning your budget, include a sum for charity if you can. Remember that a little can go a long way and it feels great to give. 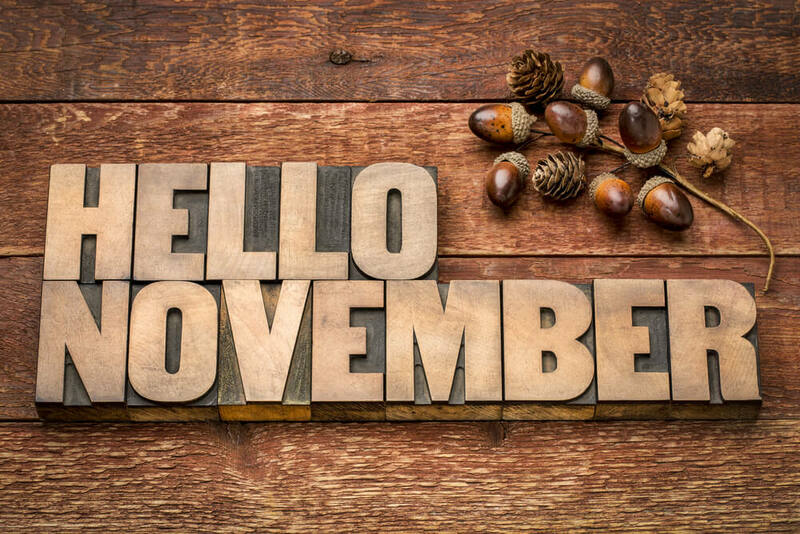 This is the month when many people throw their cares away. A month later, they regret how much they spent. 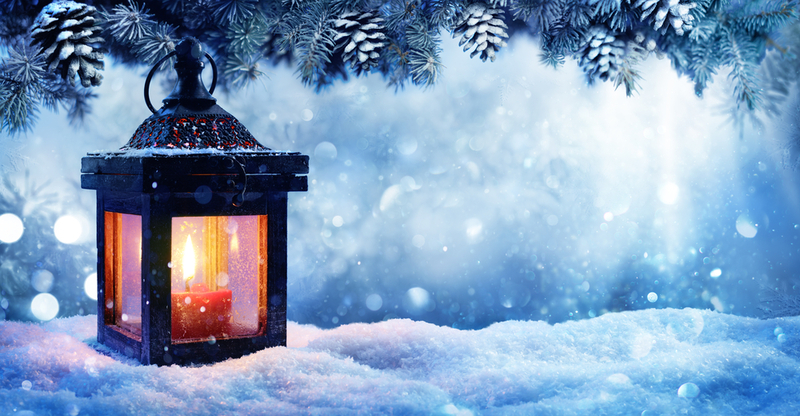 In fact, research shows most Americans set a budget then overspend during the holidays. That won’t happen to you if you’ve been planning diligently and checking your budget twice. Let’s look at December’s necessities. If you still haven’t managed to put money aside for presents or stocking stuffers, you may want to consider making them. Can you create home décor, soaps, artwork or cookies? Chances are the people on your list will appreciate them. It really is the thought that counts at this time of year. Pro Tip: Don’t be embarrassed about saying no to some gift exchanges. Your finances are more important than trying to keep up with everyone else. If you have kids, you may need to bake some cookies for Santa or risk a riot. But beyond that, you may also want to make some cakes and pies for the family. Even if you have all the pans and cookie sheets you need, you’ll still need to purchase ingredients. Make sure you have this in the budget, so you don’t have to divert money from bills or investments. The key here is to choose low-cost items with which you can create tasty dishes. You probably don’t need as much food as you think you do so even though you scale down, everyone should still be able to get a filling meal. Avoid the tendency to go overboard just to impress others or just because it’s Christmas. Of course, if you prioritize the Christmas menu above entertainment or another budget item this month, you can spend more. It helps you have specific strategies for saving money on groceries. When everyone’s in a jolly mood, there are bound to be more than a few parties. There’ll be work events, family get-togethers, Christmas concerts, and more. You can easily run out of funds when you add up the cost of clothing, transportation, food, and drinks. You need to allocate a specific set of money for these costs. Don’t let budget living keep you from enjoying the festivities but don’t let the fun get you into debt. Winter’s ice and snow mean it’s time for ice skating, snowboarding, sledding, and skiing. You may need to buy additional clothing and equipment for these, and it can be quite expensive. If it’s important to you, make sure you set aside some money just for these activities. Time has flown by and it’s now a new year. Like most people, you’ll want to get the year started right. Be sure to assess how well you handled your budget last year so you can make additional changes if necessary. One of the key things you will be doing in January is setting goals for the rest of the year. Here are some of the things to think of. Start the year with a clean slate or at least, some clean pages. While there are myriad apps available, you may find actually writing down your plans and goals is more effective. Put room in your budget for diaries, vision board materials, post-it notes and whatever else you think you will need to help you stay on track. The weather will be frightful for sometimes so you will need to keep the heat in your home on. This will drive up your electricity costs but it’s necessary if you want to be warm and comfortable. Be ready financially for the increased electric bill. One of the popular pieces of advice on how to live on a tight budget is to get rid of your gym membership. While you can work out at home effectively, many people prefer a gym. If having access to a range of equipment and the services of trained fitness professional is important to you, you have to budget for it. This may mean cutting back in another area or finding a side hustle so you can make more money. You don’t want to wait until April to get your taxes in order. If you’ll need to hire an advisor or bookkeeper to help you, you need to start thinking about how you will meet the costs. Even if you will do the work yourself, you need may need to purchase software. Do you want to learn a new life skill or pursue academic studies? Now is a great time to think about how you will improve yourself. It’s also a great time to begin setting aside the money you will need for classes, webinars, books or workshops. Don’t give up on your dreams just because you’re living life cheap. Maybe you want to finally become debt free this year or you want to be comfortable with your rainy day fund. Maybe you need to find enough money for health insurance or your child’s college tuition. Establish your financial goals for the year, prioritize and determine how you will make it all happen. This is a pretty exciting month. It includes Valentine’s Day, the Super Bowl and quite a few sales. Let’s look at how you’ll budget for these. What’s the Super Bowl without food and drinks in abundance? If you plan to have a crowd over for the big game, you’ll need to budget for snacks and other party supplies. As we’ve consistently suggested in this guide, don’t try to handle it all alone. Split the food preparation among your guests and provide only what you can manage. Pro Tip: If you buy generic brands of some foodstuffs to save money, no one will know the difference. If you put off buying appliances, electronics or furniture last year, you’ll find some deals this month. There will also be huge discounts on winter clothing so if you want to stock on basics for later in the year, you can do so now. 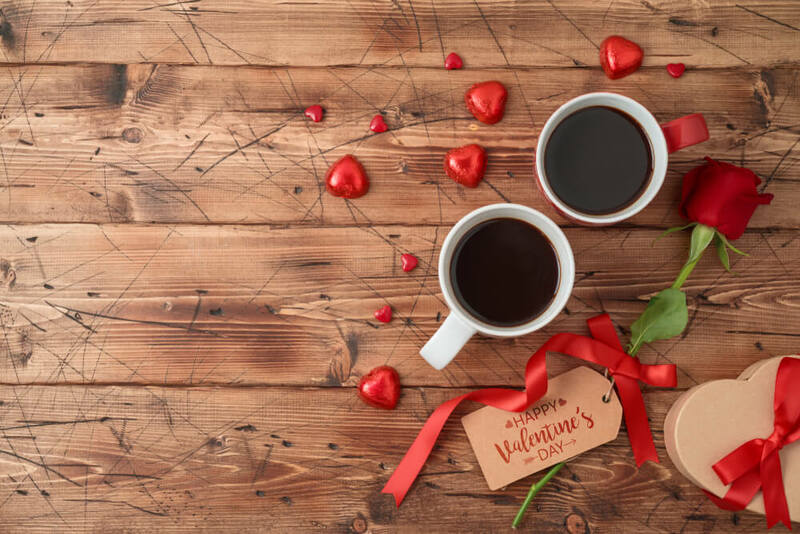 It’s the month of love and even if you don’t have a significant other, you may want to show your appreciation for your parents, girlfriends or children. Or maybe you just want to treat yourself with some discounted candy the next day. Whatever your plan, you need to make some room in the budget for it. Of course, you’ll need to set aside more if you plan to buy flowers, take a loved one to dinner and present them with jewelry. Bonus Tip: If it seems simply impossible to do anything lavish, plan a night in instead and cook dinner with your loved ones. Who can resist Girl Scouts when they come around peddling their cookies? If you don’t budget, you may have to say no. To ensure you don’t miss out on these annual favorites, add a little extra to your grocery budget this month. If you want to ensure you have a wonderful spring break, you’d better start saving now. Whether you want to stick close to home or go to a sunny beach spot, you’ll need some cash. Even you’re still trying to deal with winter, knowing an awesome break is coming up will have you feeling warm inside. Remember, it’s possible to travel well on a budget. Hopefully, spring will begin to show itself in March and winter will fade into the background. There are quite a few things which you will need to budget for this month so let’s get into them. 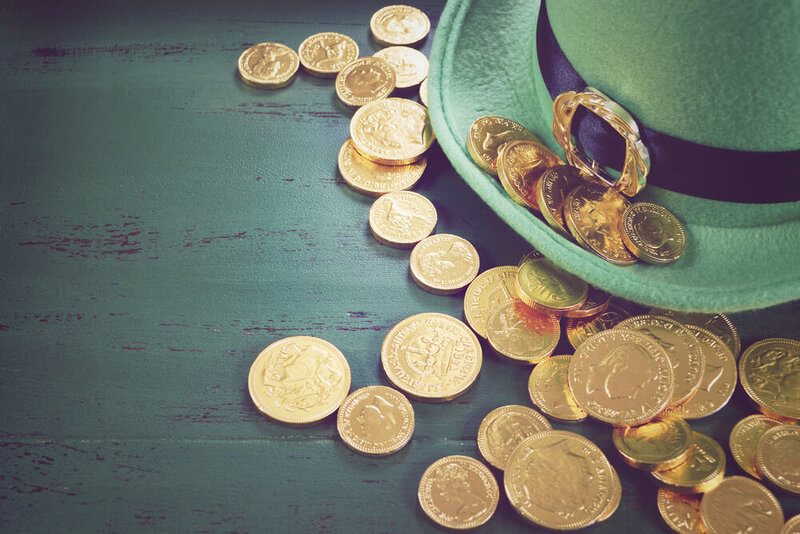 St Patrick’s Day is becoming more and more popular among young Americans. If you want to celebrate, you will definitely need to spend money on food and drinks. You may even want to get some festive green clothes as well. You don’t have to feel guilty about joining in the fun when you’ve budgeted for it and set limits on your spending. This isn’t the most extravagant of holidays, but you may still want to get some chocolate bunnies and Easter eggs if you have kids. If you’ll be going to church or another outing, you may also need some new clothes for the family. Put everything you need in the budget. If you have a garden or a yard you take pride in, you’ll need some supplies to get it in order. Seeds, seedling, shears, and mulch may all be on your list. Budget for them so you can get you surrounding in tip-top shape. You probably want to spend some time outdoors in the fine spring weather, especially if you’ve managed to cultivate a stunning garden. Patios and porches also make the perfect spot for outdoor meals and small gatherings. Make room in the budget for a spruce up and maybe some outdoor furniture before spring really gets into full swing. If you have a teenage nearing the end of their high school career, prom is around the corner. You’ll need to provide a dress or tux and organize hair and makeup. Even though your budget is tight, you’ll want your teen to have a memorable night. Budget for the costs as early as possible so you can create the experience they deserve. You now have a complete guide to how to live cheaply over the course of a year. You will have to make some adjustments based on your household’s circumstances and based on the size of your family. The important thing for you to get accustomed to the idea of budgeting and planning for major monthly events. Living on a tight budget doesn’t mean you can’t have an enjoyable, meaningful life. Now over to you: Which aspects of budgeting do you find most difficult to manage?